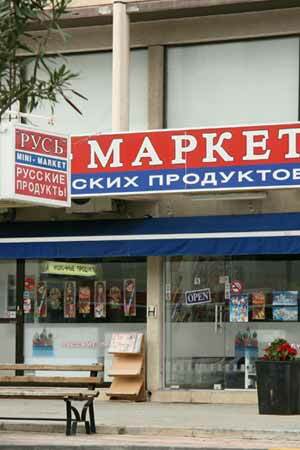 Tatyana likes Limassol but I’m tired of noisy city and would like to live in some quiet place. 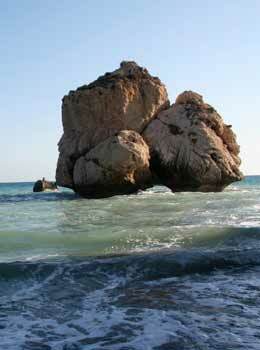 Want to know, what it was in Cyprus that amazed me right on my first arrival? 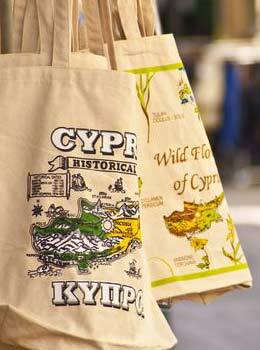 The peculiar charm of Cyprus is in its ancient villages, which have preserved their style of life and national flavor. Besides, co-existence of these two styles (traditional houses surrounded by gardens and new modern residential complexes and villas) is concordant. This place attracts many owners of real estate by the possibility to get freed from city rush and noise of highways. It is the most prestigious and expensive district. 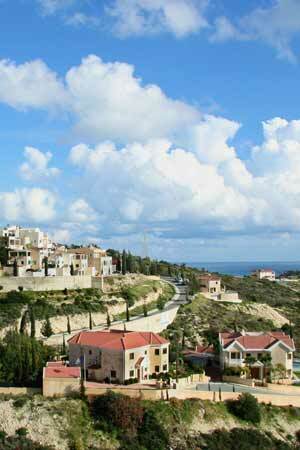 The residential complex Edem-2, where I’m going to live, will be built right near the village of Agios Tychonas. 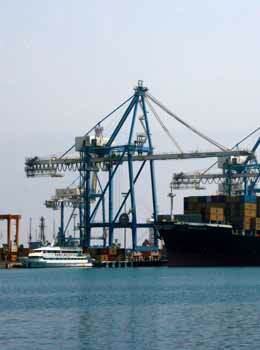 There are no houses similar to that of Edem-2 in Limassol that is why it is a unique project. Agios Tychonas is located in such a way that you can take advantage of a view of an amazing seascape from any point of it. Green valleys and hills complete the seascape, and you can get to any point of the island within less than an hour. You can get to the seacoast within 3-5 minutes by car or 20 minutes on foot. The road that leads to Agios Tychonas is paved and meets all the requirements of European standards including pedestrian lines on each side of the road. The village of Agios Tychonas is named after the second bishop of Amathunta, Tychonas. As legend has it, the village was developed by Richard the Lionheart for use as a winery. Rocks from Amathunta were used to build the wine storage facilities. 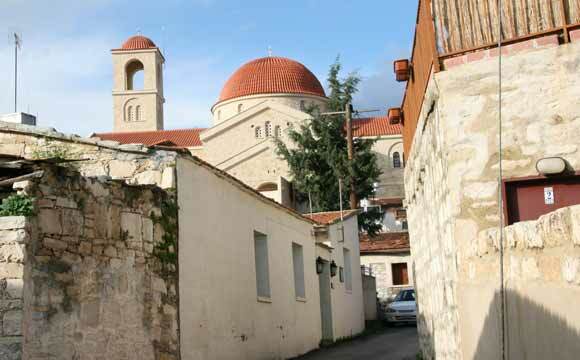 National flavor of the village of Agios Tychonas can first of all be seen in churches. St. Nicholas Church, located in the old part of the village with its 19th century icons and unique low bell tower painted blue and white is the main monument of Agios Tychonas, as well as the ruins of church of St. Tychonas, which is thought to have therapeutic qualities. Residents of the village treasure in memory their cultural legacy in today’s fast paced modern life. Permanent mode of rustication, traditions, narrow streets, taverns and coffee houses add unique charm to Agios Tychonas. 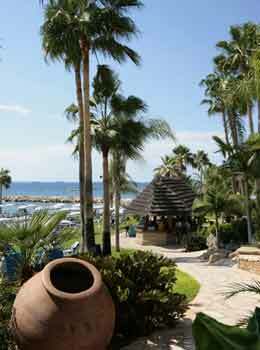 A beautiful beach with lots of hotels, shops and aquatic sports centers stretches along the coastline. Locals proudly told me that seven beaches of Agios Tychonas have been awarded the prize of “European Blue Flag” for the cleanliness and comfort that meet the requirements of European Union. There are many restaurants with national Cypriot and international cuisine, as well as taverns, bars, cafes and discos for any taste on the seacoast. IT IS INTERESTING TO KNOW. 4 days of the year are celebrated as the days of equinox at 6 a.m. in the Acropolis of ancient Amathus. These are the 21st of March, 21st of June, 23rd of June and 22nd of September. There is a DIVING CENTER in Amathus. Here you can see 200 species of fish and other marine life, isn’t it great?! Underwater visibility here is more than 20 meters. And what about diving? Fascinating underwater world, shipwrecks and archeological treasures cannot be described in words; one should see it with one’s own eyes. 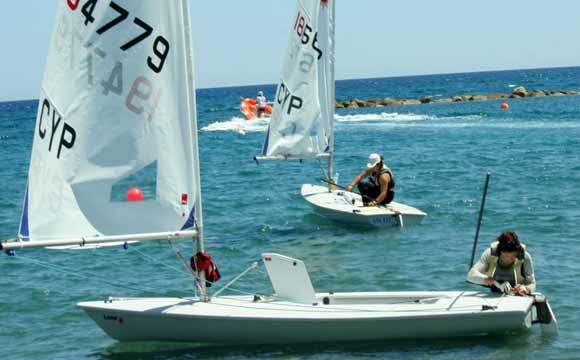 The only SAILING CENTER in Cyprus is located in Agios Tychonas. It meets European standards.